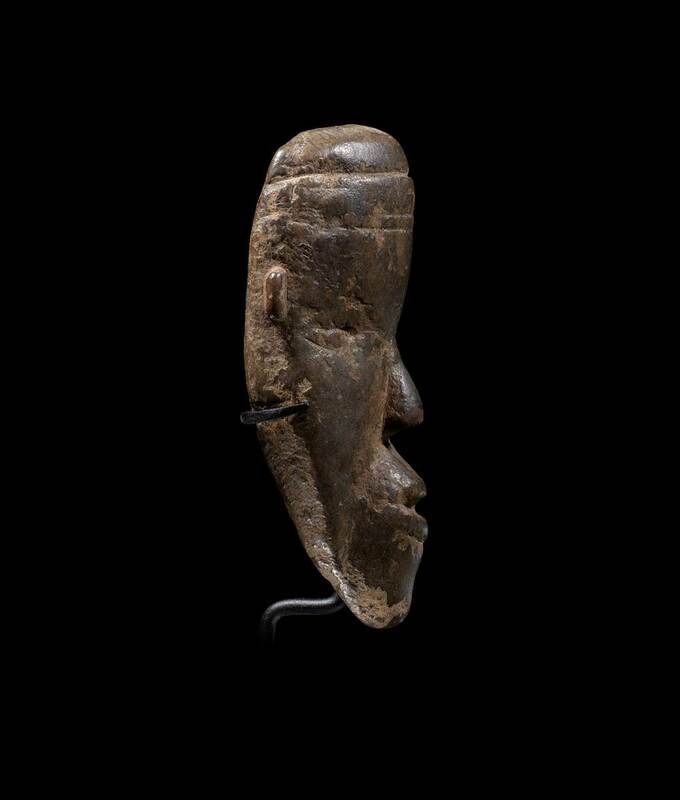 Provenance: Collected in the 1970’s by an American Peace Corp. volunteer, stationed in Liberia. 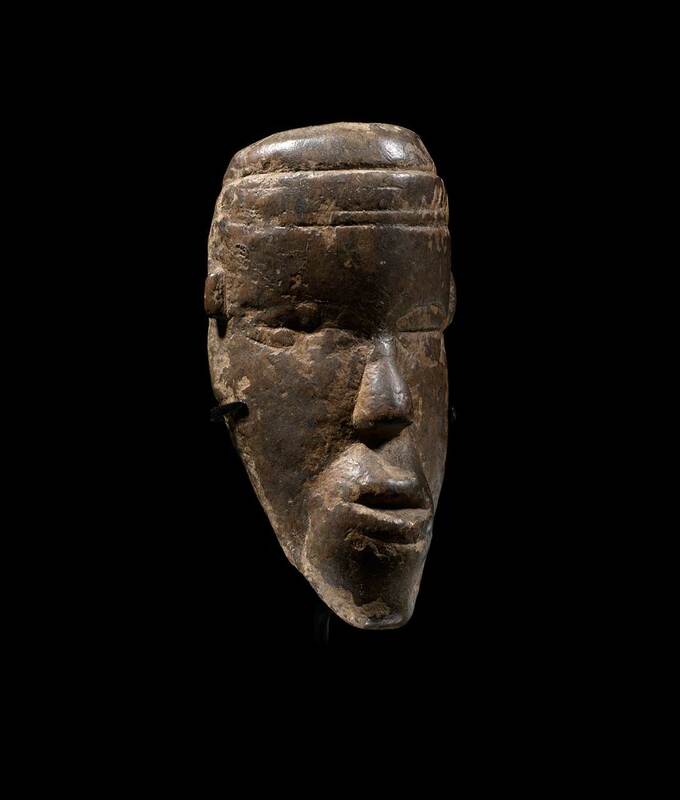 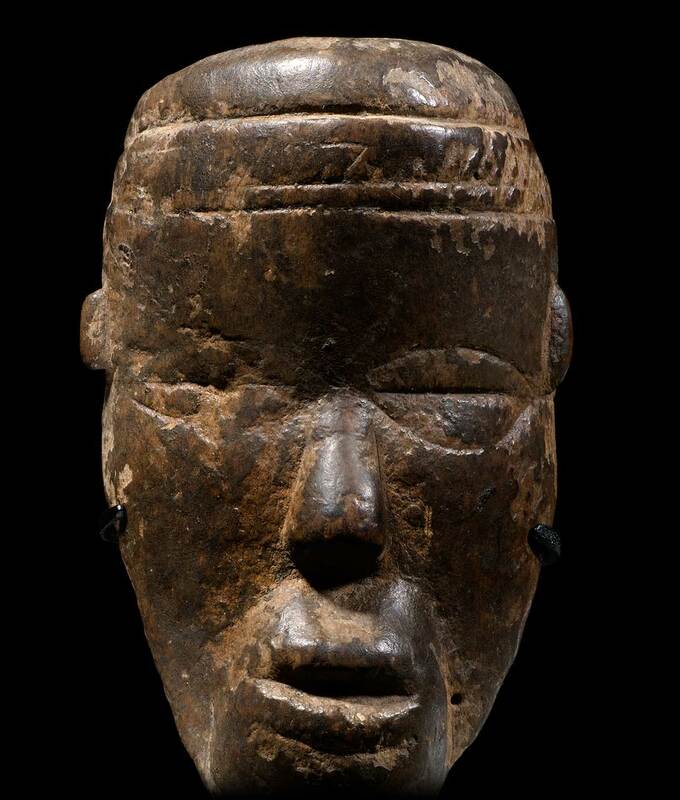 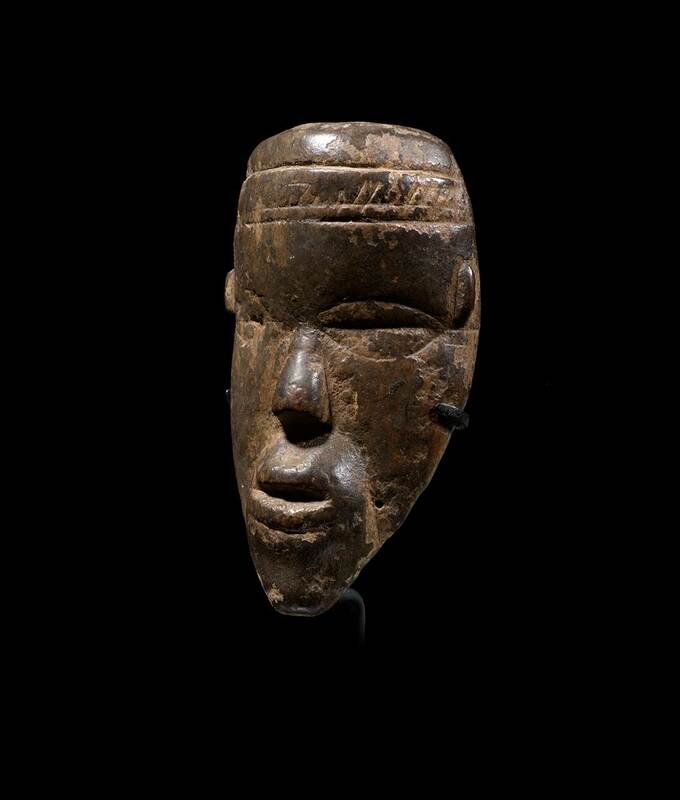 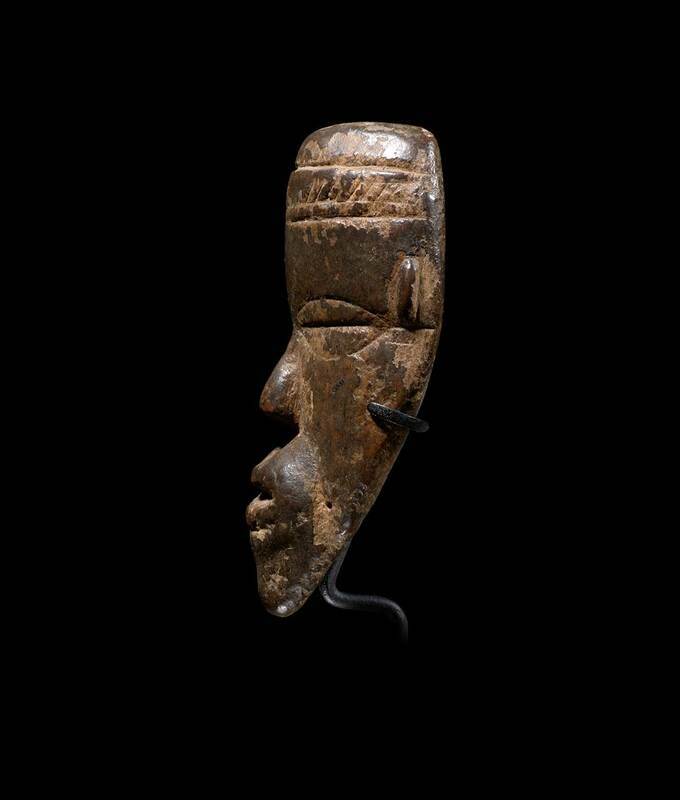 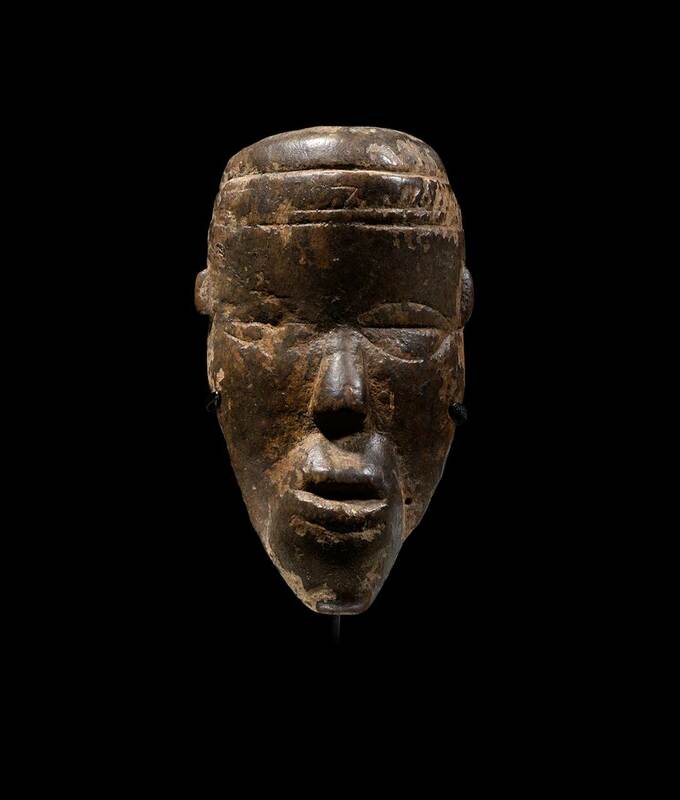 This ma go, like all Dan miniature masks, has several other vernacular names, all related to its sacred role: being a small-scale copy of a mask-spirit, it is believed to contain a fraction of its powers. 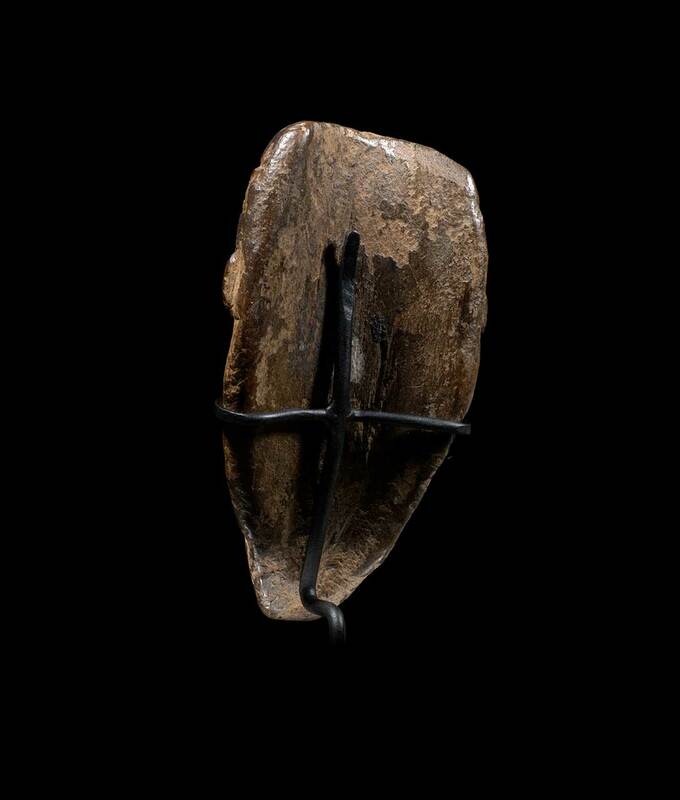 Small offerings can be made and the ma go is often carried with a leather pouch or an antelope horn filled with medicinal herbs. 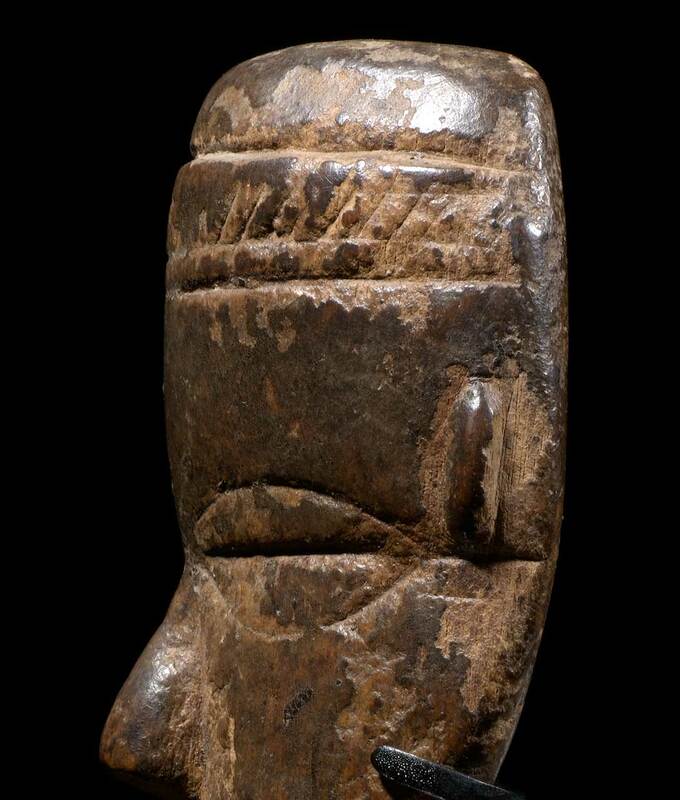 The slitted eyes of this piece suggest it is an attractive feminine figure.